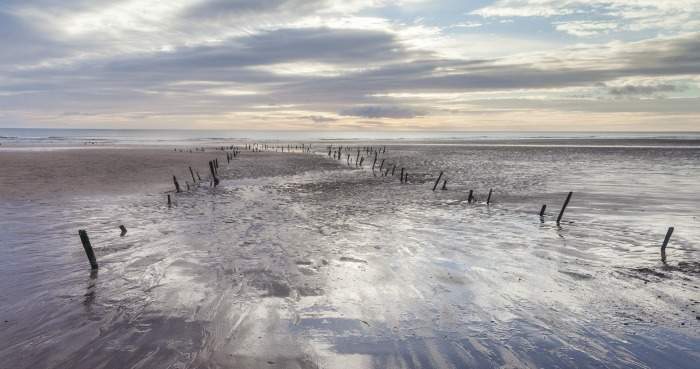 With miles of golden sandy beach and dramatic sand dunes, who would have thought this beach would be located right by Liverpool? I mean it’s not what first comes to mind when thinking of this quirky, alternative city, but Formby is one of the best in this part of the country by far. 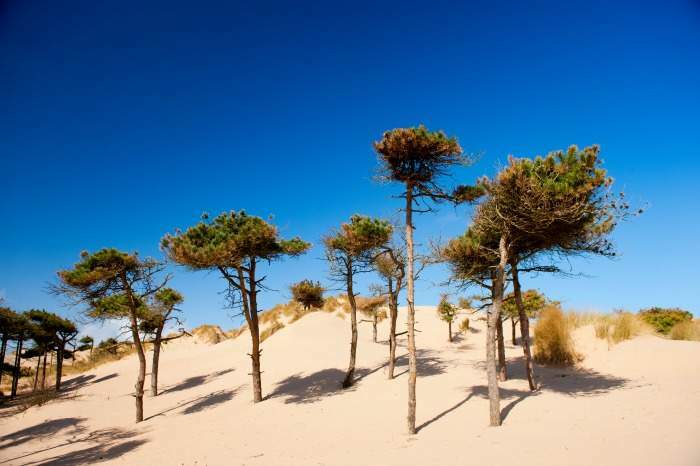 Great for picnics, coastal walks and with unique walking trails created to spot the rare red squirrel, this north-western beach is one of a kind. 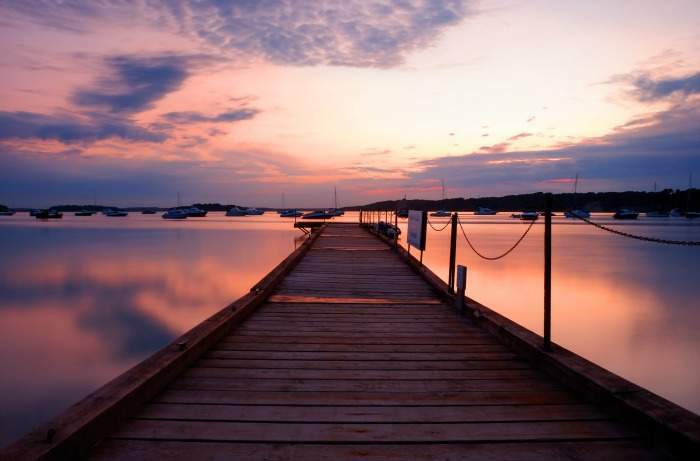 Studland Bay in Dorset in a coastal line with several impressive beaches, each with a different quirk. South Beach is the smallest, yet the most popular with locals, where as Middle Beach is far quieter due to its sheltered cliffs. Knoll Beach is a particular favourite with its sand dunes and great reputation for watersports. With four miles of beach Studland Bay has something for everyone, whatever the season. Dramatic coastlines and rugged cliffs, Lunan Bay is well-known as one of the most beautiful in the whole of Scotland. The beach is particularly popular with surfers, horse-riders and traditional fishers, who catch fish using an old method of stringing fishing nets on to poles dug into the sand. Bird watching is also a favourite hobby of many who come to visit the stunning Lunan Bay. 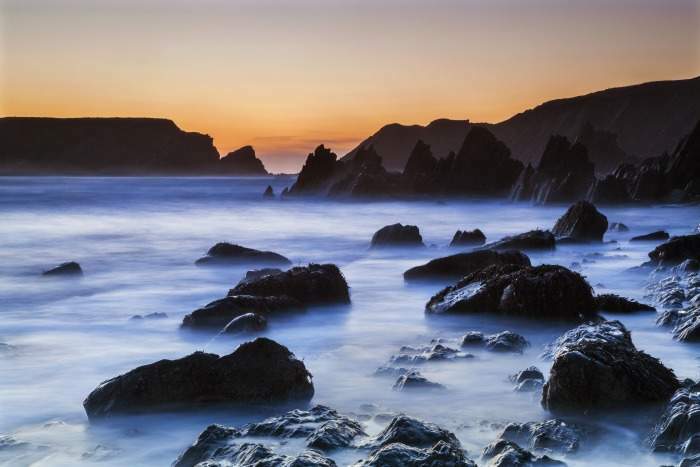 Located on the western edge of Pembrokeshire in Wales, Marloes Sands is a real hidden gem. Among its sandstone and volcanic rock structures lies a gorgeous beach on golden sands with a great reputation for safe bathing. Although many come here just for this reason alone, the beach is also famous for its wildlife with several species of bird and even seals visiting this spot. 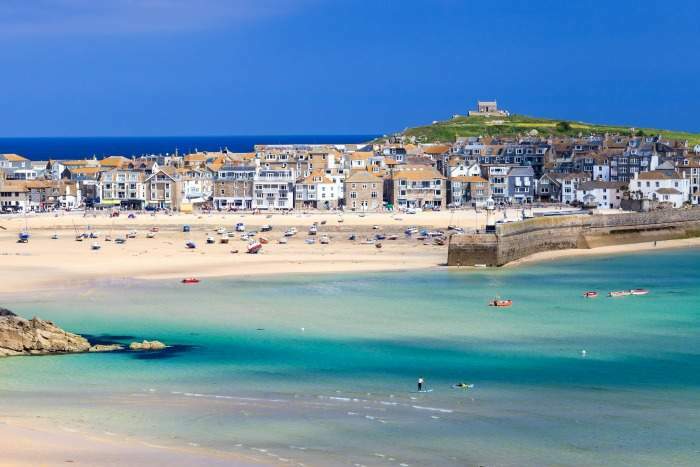 St Ives in Cornwall is home to some truly stunning beaches. All with golden sands and crystal clear, calm waters, there are plenty of options when visiting. Porthminster Beach with almost half a mile of sand is a great spot for families and has great cafe and restaurant facilities available. However if you’re looking for something a little quieter then the small and sandy cove of Portgwidden may be the one for you. For the more active beach-goers, head on over to Porthmeor’s Blue Flag beach for a bit of surfing. With breathtaking views of Chichester Harbour, West Wittering beach in West Sussex really is a great choice, especially for those looking to do a bit of wind or kite surfing during their visit. 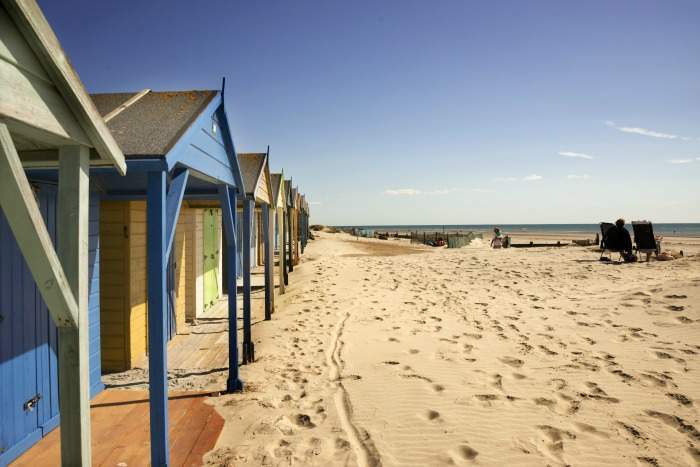 If this isn’t really your thing then don’t worry, West Wittering, with its neatly mown grass, is also a popular choice when it comes to picnics or generally just soaking up the British sun – when it decides to come out that is! 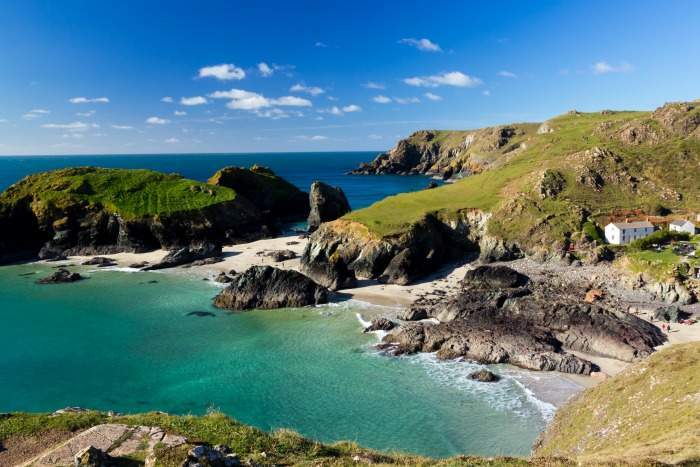 Known as the most photographed and painted location in Cornwall, Kynance Cove really is something special. The real beauty comes when the sun hits the water, turning it a beautiful turquoise colour, which is usually depicted in many paintings of this cove. Access is a steep 10-15 minute walk, but is well worth it when you arrive. The best time to visit is at low tide where you can explore the rock stacks and hidden caves. 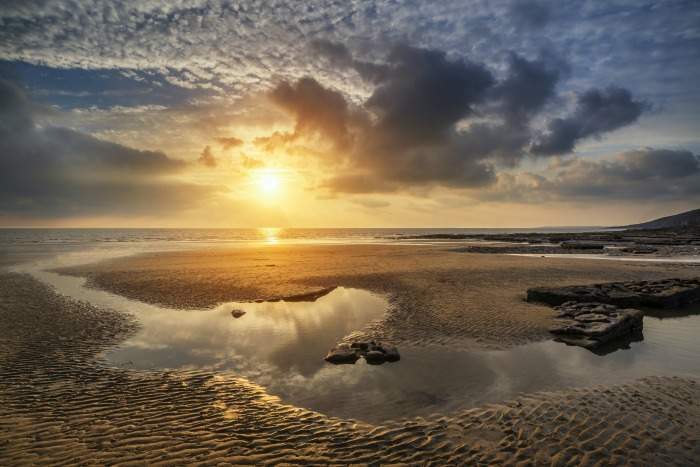 Located near Bridgend in Wales, Dunraven Bay, also known as Southerndown Beach after the small town nearby, is one of the best in Glamorgan. The sand and pebble beach is particularly popular with families and those looking to take part in watersports. Winds come in from the east, making this beach especially good for surfing. Kayaking is also a favourite among those visiting this beach, as is fossil hunting when the tide is out. 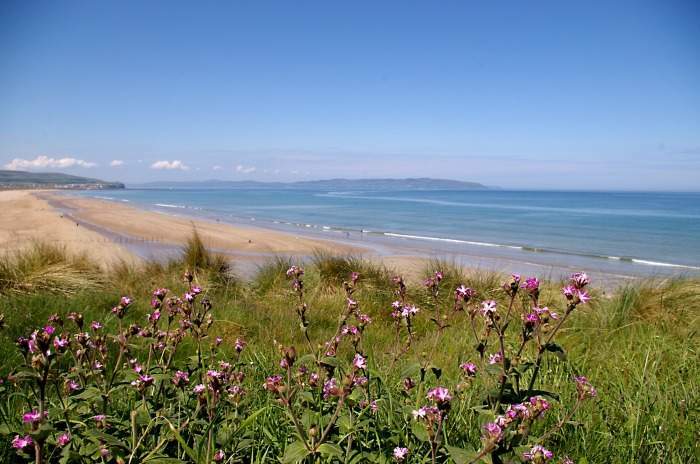 With two miles of golden sands, Portstewart Strand, locally known as just ‘The Strand’, is listed as one of the top 10 Northern Ireland visitor attractions. Home to some of Ireland’s tallest sand dunes and owner of the European Blue Flag award for its water quality, it’s easy to see why it’s such a hit with visitors. Along with managing our social media channels Lindsay is a keen traveller often dreaming of her next escape. Her bucket list of foodie destinations to visit is growing by the day but she plans on seeing and eating her way around them all! Check out her very own food blog!